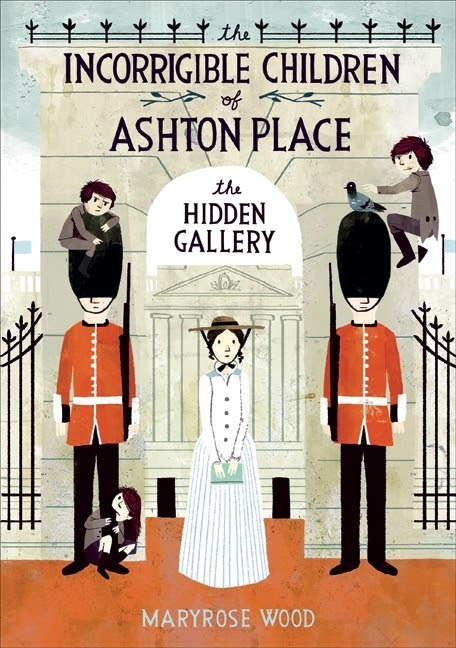 After the disastrous occurrences at the Christmas ball, Ashton Place is under construction and the Ashton’s decide to take refuge in a rented house in London. Miss Penelope Lumley is the governess of the children Lord Ashton has adopted, but the children under her charge are unlike any others. Alexander, Beowulf and Cassiopeia Incorrigible were found in the woods behind Ashton Place, and they appear to have been raised by wolves. Under Miss Lumley’s care, the children have improved considerably. However, they still enjoy howling at the moon and chasing the occasional rodent. Considering their upbringing, who can blame the children for becoming a bit unsettled by the Palace guard's bearskin hats? Or for climbing into a cage at the zoo? As Miss Lumley tries to piece together the clues of the children’s mysterious past, things will certainly never be dull with the Incorrigibles around. Writing a review for a sequel can be difficult if I’ve already reviewed the first in the series. If both books were enjoyable, than many of the good things I mentioned in the first review still apply for the second. Of course, if the second book in the series doesn’t live up to the first, than writing the review is easy (although actually reading the book might have been a bit more unpleasant.) For that reason, reviewing The Hidden Gallery feels very repetitive since many of the things I liked about The Mysterious Howling are ever present in the sequel. I enjoyed the writing and the tone, the humour, the characters and the story. I still love the Snicket like writing style, with its explanations of words or phrases. I actually found the sequel to be even funnier than the original, with the narration just as clever as ever. It did feel like not very much happened, and the climax could have been more exciting. This book raised even more questions and answered none, so I’m not sure if I feel unsatisfied or just more anxious for the third book. If the average book did this, it would probably be enough for me to dislike it. However, The Hidden Gallery was just so charming that a few flaws aren’t enough to stop me from loving it. We are introduced to a new character and finally meet Penelope’s former headmistress, who has been frequently mentioned from the start. The more familiar characters are the same as ever, whether that means being plucky and optimistic in Penelope’s case, selfish and spoiled like Lady Ashton or mysterious and suspicious like Judge Quinzy. The children are the sweetest wild things you’ll ever meet, and have become star pupils under Miss Lumley’s tutorage. Wood makes full use of the wonderful setting, Victorian London, which helped make The Hidden Gallery feel quite different from the previous book in the series. Overall, I’d definitely recommend this series for the young, the young at heart and even for those who don’t usually read junior fiction. This tale about three peculiar children and their spirited governess is a delightful read that can make the most civilized person want to howl at the moon. "Don't look now, but everything's about to change."